Some days, you might find yourself so busy that you hardly have time for lunch. If you run into these days often, you’re probably more than familiar with that grumbling in your stomach telling you it’s time to eat. But, you may not have the time to sit down for a meal so what you need are snacks. Yes, snacks. There’s a misconception around the idea of snacks. People tend to believe they’re unhealthy, or shouldn’t be included at all because of the habits people develop of eating too many of them. But what if you knew the snacks you were going to eat to sustain yourself until dinner would also benefit your body? Don’t believe me? Here are 20 healthy snacks you should consider for saving your stomach on a crazy day. Jerky is one of the all time classics when it comes to light, portable snacks. 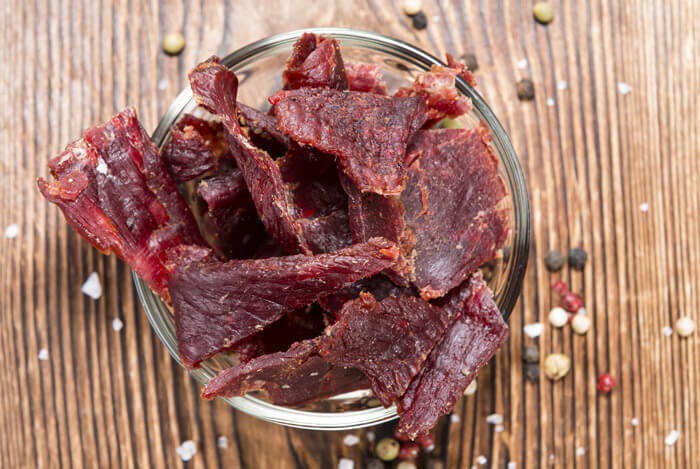 Providing plenty of protein, some essential minerals, and hardly any carbs or calories, jerky has stuck around for a reason. For a large portion of human history, jerky was the only form of meat people could easily store and consume without fear of food poisoning. Each serving of beef jerky contains 11% of the daily value (DV) of phosphorous, 15% DV for zinc. You can find it in your local grocery store or even make a bunch yourself in your oven or a dehydrator. This crispy, salty snack is a perfect on-the-go treat, and it’ll fight off hunger until dinner. It’s rich in fiber, giving you a third of your DV, and in a quarter cup serving you’ll only consume around 130 calories. Not to mention, 14 grams of energy boosting protein. And the coolest thing about edamame is how much fun you can have preparing it. I mean, who doesn’t enjoy popping the little beans out of their pods? Does zero preparation time sound good or what? 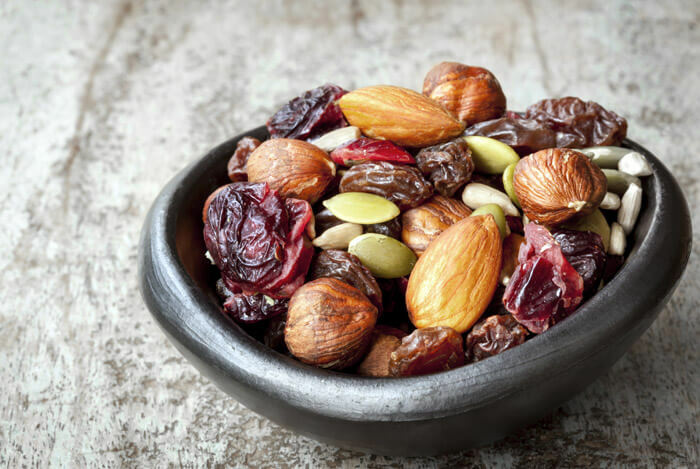 Mixed nuts allow you to get a healthy dose of protein in a delicious and quick snack. For the most protein and their awesome taste, try going for almonds and pistachios. And throwing some dried fruit into the mix occasionally can add some natural sweetness. Trail mix, often containing the aforementioned mixed nuts, is another classic on-the-go snack. Inside every bag, you can find a mixture of delectable foods like legumes, cranberries, orange peel, granola, and if you’re lucky, chocolate. Or, you can make it yourself and store it in a huge container by your front door, scooping some out and putting it in a sandwich bag on your way out! Oh kale, how popular you’ve become. And for good reason. Kale is ranked number fifteen on the Center for Disease Control and Prevention (CDC) list of top most nutrient rich superfoods. All you have to do is remove the ribs and stems from the leaves, use a tablespoon of olive oil, a teaspoon of smoked paprika, and ¼ teaspoon of salt. Put them on a cooking tray and cook for 12-15 minutes and enjoy. 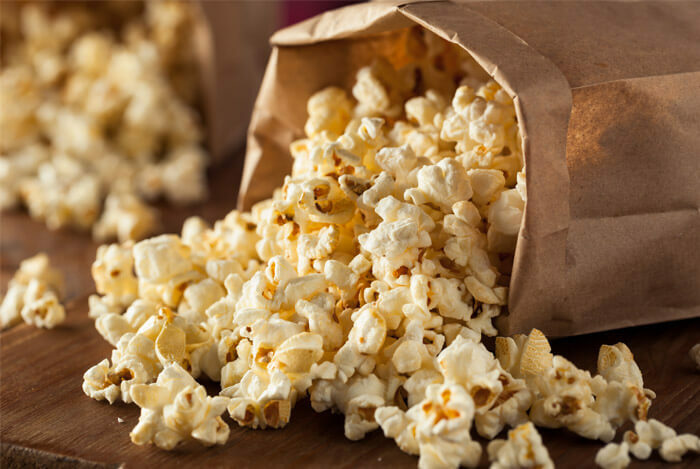 Pop yourself some popcorn in your microwave, toss them in a small bowl with ½ teaspoon of sesame oil and ½ teaspoon of sesame seeds. This crunchy, healthy snack will provide you with 5 grams of fiber, 4 grams of protein, and 4 grams of fat, all at around 150 calories. And best of all, it shouldn’t take you any more than the time it takes to pop the popcorn. Bananas are one of the most portable foods out there for sure. And they’re packed with potassium – 422 mg! 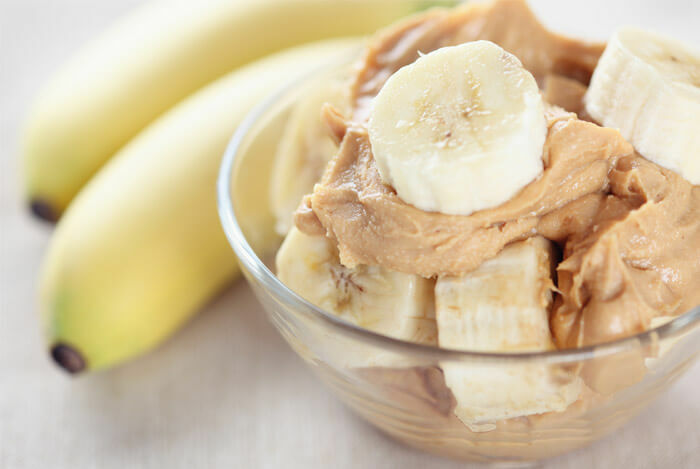 For an excellent pre or post workout snack at only 158 calories, simply peel your banana (the hardest part) and smear some creamy peanut butter on it. For an even healthier option, choose almond butter. 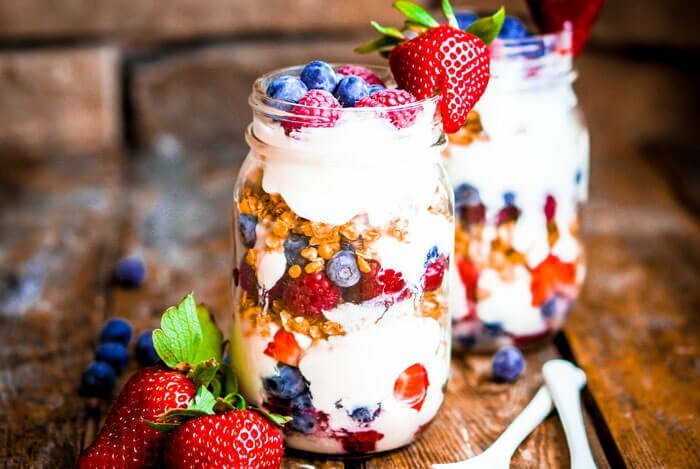 Berries are super high in phytochemicals, naturally occurring nutrients that help strengthen your cells, lose weight, prevent disease, and they’re totally delicious too. 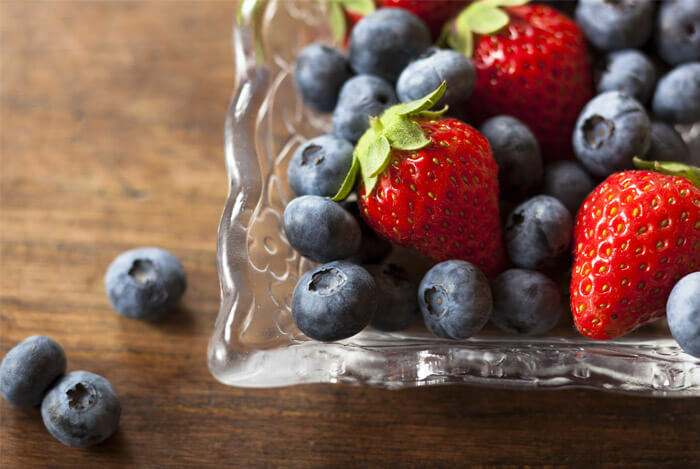 There are a pretty wide and colorful range of berries to choose from, but I recommend blueberries and strawberries. Maybe just because they’re my favorites. At only 60 calories a serving, you’ll feel like you’re cheating your diet when really you’re benefiting your body and mind. 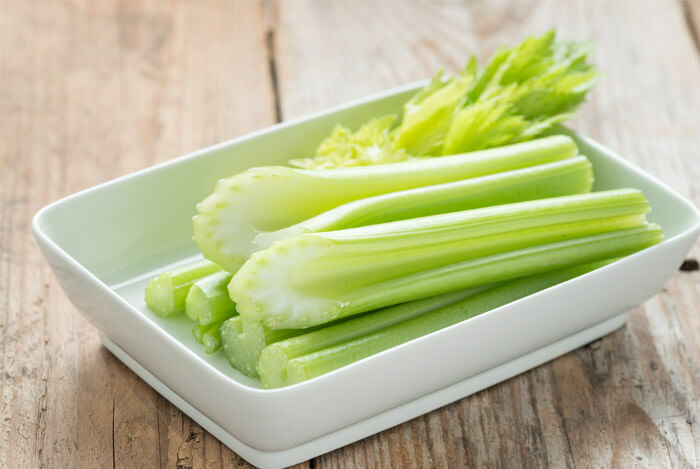 This is a pretty simple snack – just grab yourself six celery sticks and go to town! If you want an awesome dipping sauce, try a teaspoon of whole grain mustard. 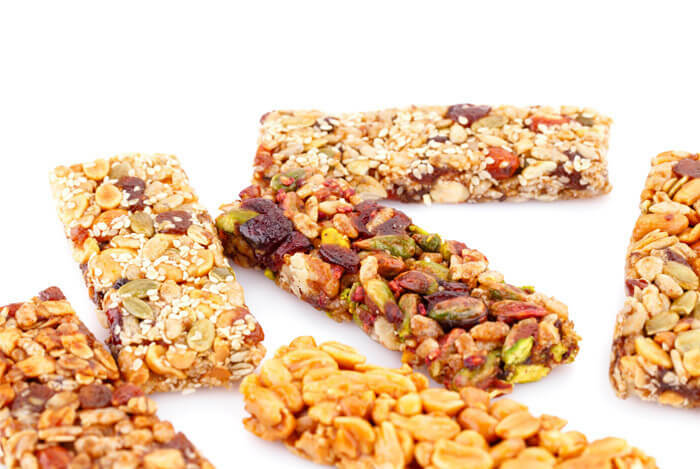 These popular snacks are packed with protein – around 5 grams per bar! They’re essentially nothing more than a bowl of whole grains, nuts, and fruits all pressed together in a convenient size and shape you can take anywhere with you. They contain brown rice, inulin, dates, agave nectar, buckwheat, almond butter, dried apples, hemp seeds, and chia seeds. KIND bars are especially great when it comes to filling you up, as they’re 180 calories each with up to 40% of your recommended daily fiber intake and a whopping 10 grams of protein. 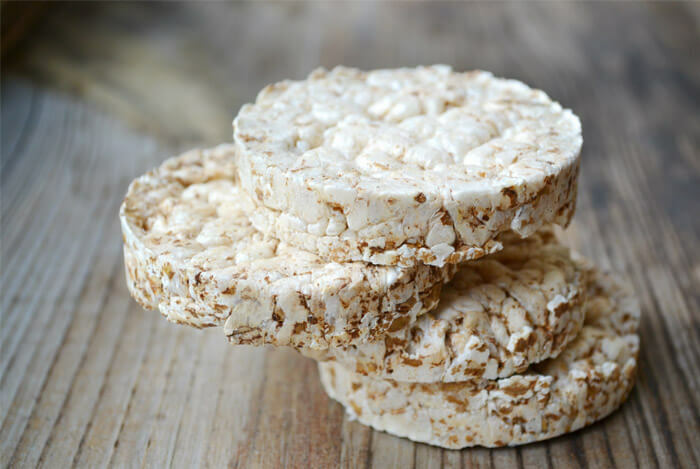 Try this recipe – get a rice cake, smear it with one tablespoon of creamy (or crunchy) peanut butter, sprinkle on two teaspoons of shredded coconut and two teaspoons of dried cherries. This is a seriously tasty, crunchy snack you can make quickly and eat as you walk out the door. You’d be shocked to know the amount of people I’ve talked to who won’t eat hummus because they’ve confused it with haggis. Trust me, hummus is not sheep’s liver, heart, and lungs. Hummus means ‘chickpeas’ in Arabic. 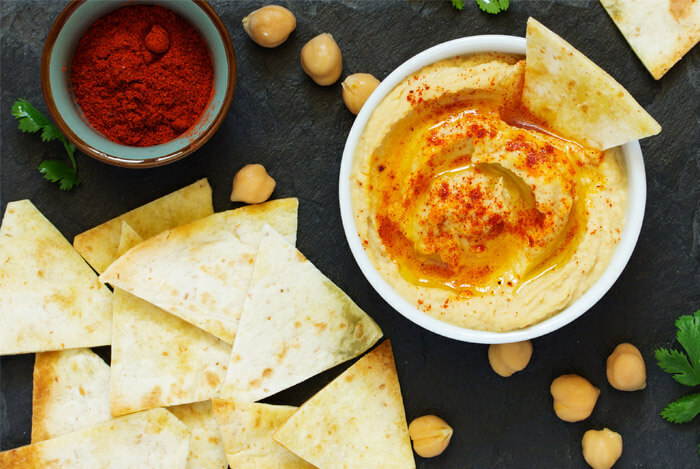 What we traditionally know as hummus is the ground chickpea spread, and it’s delicious. Take yourself a whole wheat tortilla, put it on a skillet until it’s crispy, break it up into palm sized pieces and spread the hummus on top. A serving of hummus only contains around 25 calories, and the whole tortilla contains around 50. Light and easy. This one should only take you around 2 minutes, and the ingredients are seriously delicious. 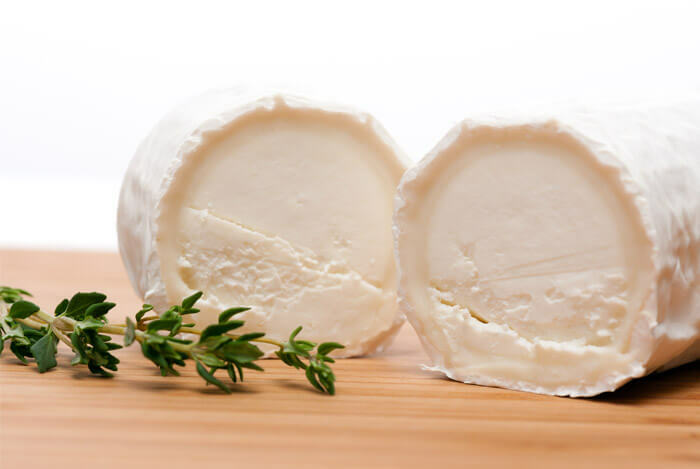 Lightly spread goat cheese across a few crackers (however many you’d like), and enjoy. The whole grain crackers are a solid source of dietary fiber (12 grams), and the snack will give you a total of around 16 grams of protein. You could even top the crackers with sliced strawberries. Just a suggestion. You couldn’t have a list of healthy, on-the-go snacks without at least one smoothie! This smoothie mix is one of my favorites because of the almond milk base. 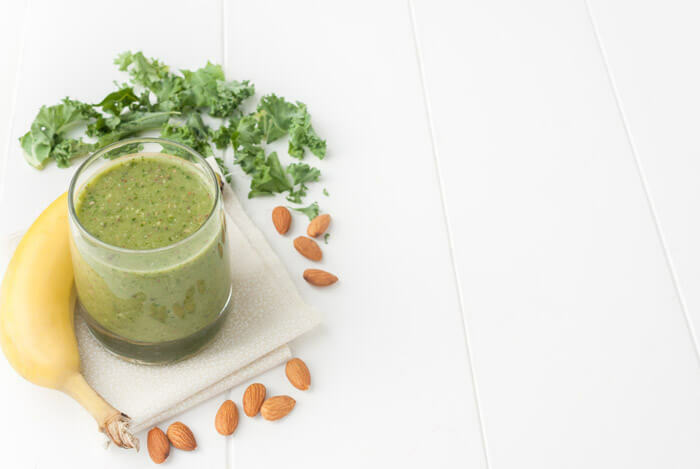 Puree a banana, chop up a cup of kale, pour one cup of almond milk, and blend it up. You’ll be getting 5 grams of fiber, 5 grams of protein, 133% DV of vitamin A from the kale, along with 134% DV of vitamin C, calcium, iron, magnesium, vitamin B, and those awesome omega-3 fatty acids. There are lots of ways to go about making this delicious snack. First, open up your Greek yogurt (around 100 calories, with 240 mg of potassium!). Now comes the hardest part, deciding what to put in your parfait. The most popular fruits are typically blackberries and strawberry slices. You can also try peaches, plums, blueberries, or any other fruit you choose. Mix these into your yogurt, sprinkle in some walnuts, almonds, or whole grain cereal for texture. You can even add in some honey, if you want! To make this one, you’ll have to prepare beforehand. It takes around 10 minutes total to prep, but you’ll appreciate taking the time because it’s an excellent way to start out your day. Use steel cut oats, as they’re far less processed than other varieties, and they have a wonderful chewy texture. Preheat your oven to 350 degrees, and spread out your oats on a baking sheet. Add some water and stir them about halfway through the bake. Wait until they’re a nice golden brown. 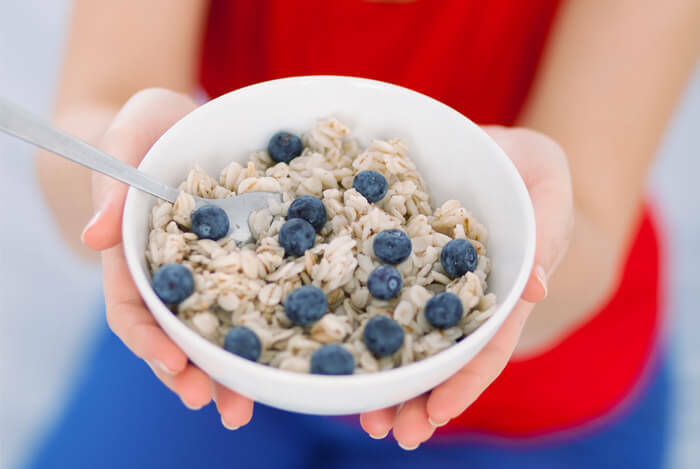 Boil some water and add in your toasted oats, stirring until your oatmeal is soft and creamy. Add in a cup of blueberries, walnuts, honey if you’d like, and cinnamon. I’d advise making enough for multiple servings because you’ll want to eat this snack more than once! Dark chocolate is delicious and nutritious. 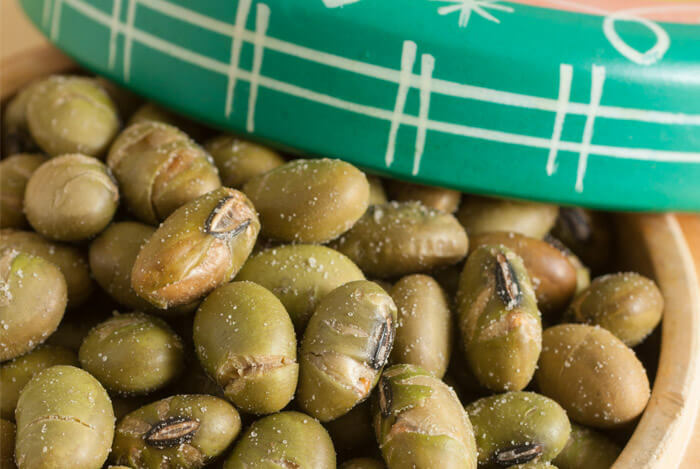 It’s a powerful source of antioxidants, fiber, and it’s also loaded with iron, magnesium, copper, and manganese. 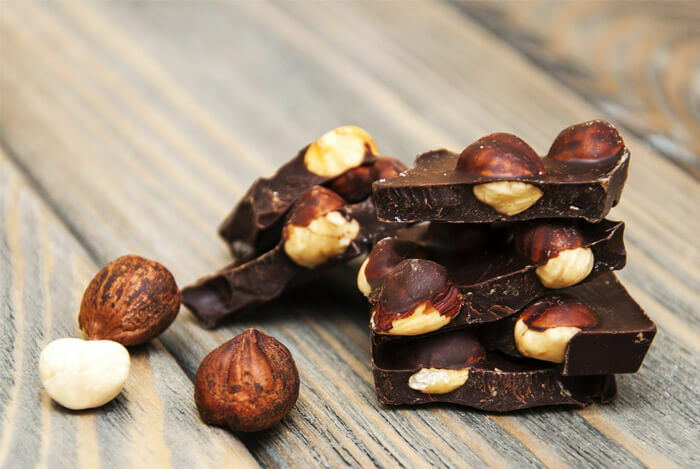 To make this snack, simply melt your dark chocolate (around one ounce) in a bowl, then pour in about ¼ cup of nuts. You could go with mixed nuts, or one nut of your choice – I prefer almonds. You’ll be getting 3 grams of fiber, 4 grams of protein, and 14 grams of fat. However, keep in mind that dark chocolate shouldn’t be an everyday thing, even if it’s linked to improved heart and stomach health. No longer are hard boiled eggs reserved for holiday feasts! 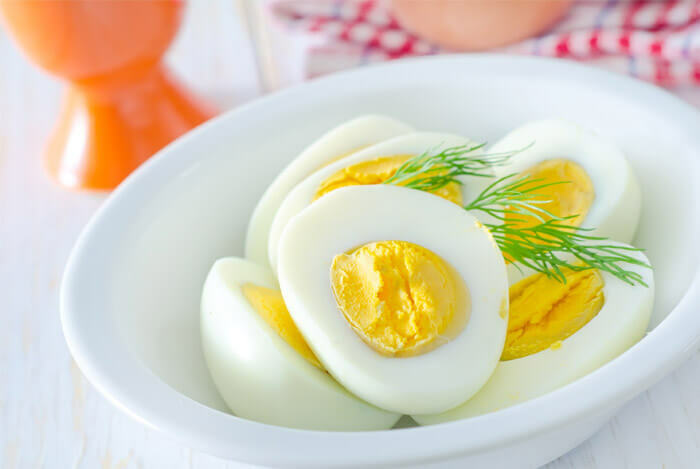 These tasty treats are an excellent source of protein (6 grams), ‘good’ cholesterol (187 mg), potassium (63 mg), all for only 78 calories per egg. Open up your carton of eggs and boil as many as you choose in a pot of water until the egg whites and yolks are solid. Crack the eggshells and remove them, then take a bite. I still haven’t figured out why this perfect, healthy snack isn’t enjoyed more often! You’ve heard of putting salt on your watermelon, but what about cayenne pepper? 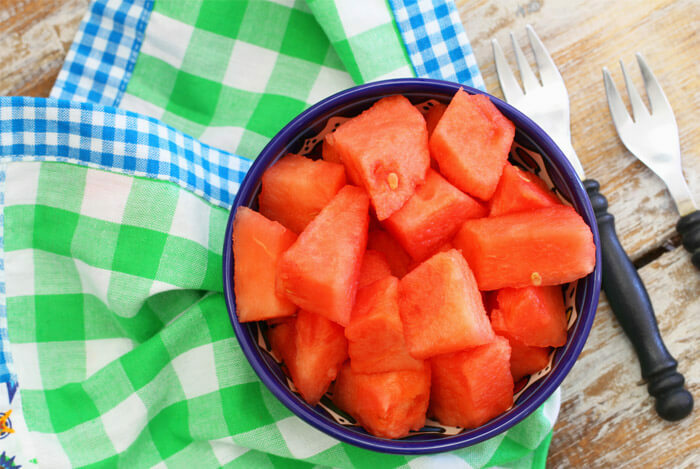 Watermelon never fails to bring up fond memories of summer days from childhood. So why not include it in your big grown up life as a quick and healthy snack with a twist? Cut up some watermelon slices into little chunks. Add a single tablespoon of lime juice, then sprinkle on a ½ tablespoon of grated lime zest. Throw in a pinch of cayenne pepper and 2 teaspoons of chopped, roasted, unsalted pistachios. You can’t get much more on-the-go portability than a stick of string cheese. Not only is it good for you, it’s also really fun to eat. But don’t be one of those horrible people who take bites out of it – peel off strip by strip like you’re supposed to! Just kidding. Each stick of string cheese is around 70 calories, with around 6 grams of protein, so I’m okay with you munching on it however you choose. But, you should definitely include some fruit with it. 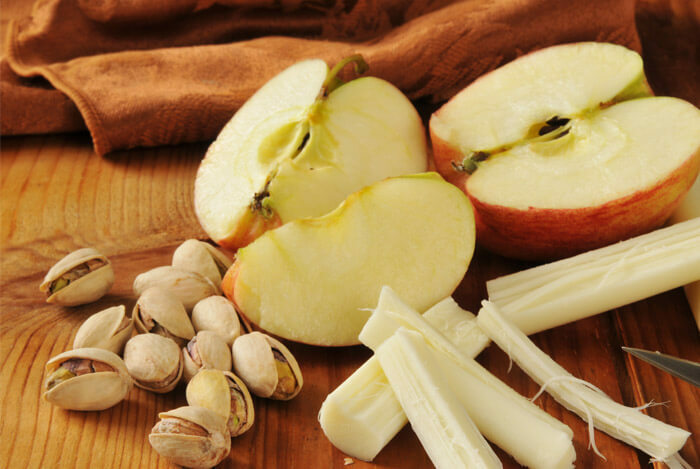 Cut up an apple or an orange and alternate between pieces of cheese and fruit for the full flavor experience. Pumpkin seeds are pretty spectacular. These little guys are nutritional powerhouses with a huge range of health benefits. A quarter cup serving of pumpkin seeds contains nearly half the DV of magnesium, essential for the creation of ATP, the energy molecules of your body. Pumpkin seeds may benefit your heart, your liver, and your immune system because of plant compounds called phytosterols and free-radical annihilating antioxidants. One ounce of these seeds contains 2 mg of zinc, which improves cell growth, sleep, mood, your sense of taste and smell, eye and skin health, insulin regulation, and male sexual function. 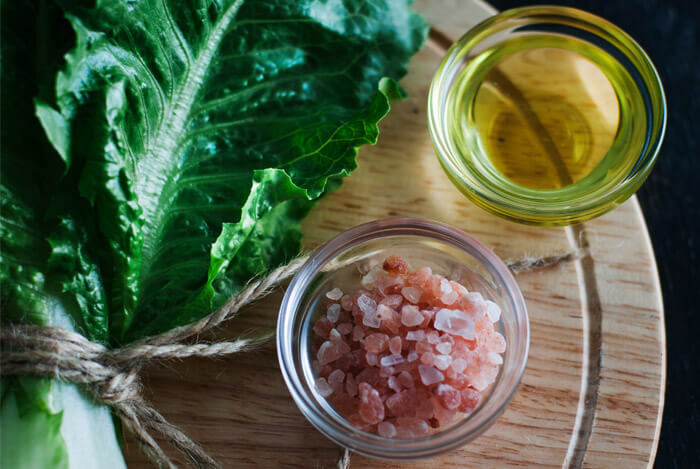 They improve levels of ‘good’ HDL cholesterol, and they’re one of the best sources around for those omega-3 fatty acids everyone’s always talking about. 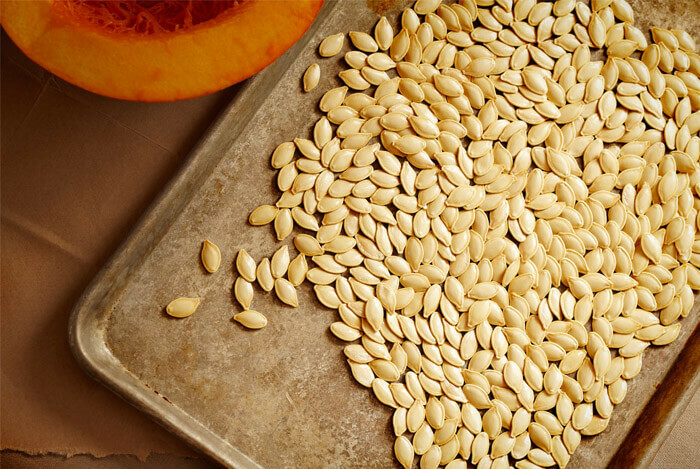 Without a doubt, pumpkin seeds are one of the most perfect, easy snacks you can find. Looks like snacks can be healthy after all. Each of these snack ideas would be great to include as part of a balanced diet. You could even mix some of the snacks I listed together and create some sort of mega-snack, combining their nutritional values. The snack world contains countless possibilities so get creative and see what you can come up with.